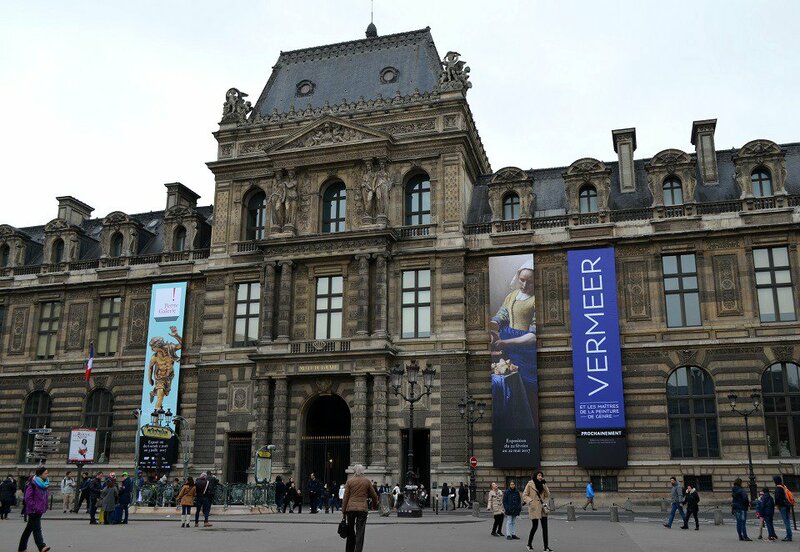 Home » News » Event in PARIS : VERMEER in LOUVRE MUSEUM ! 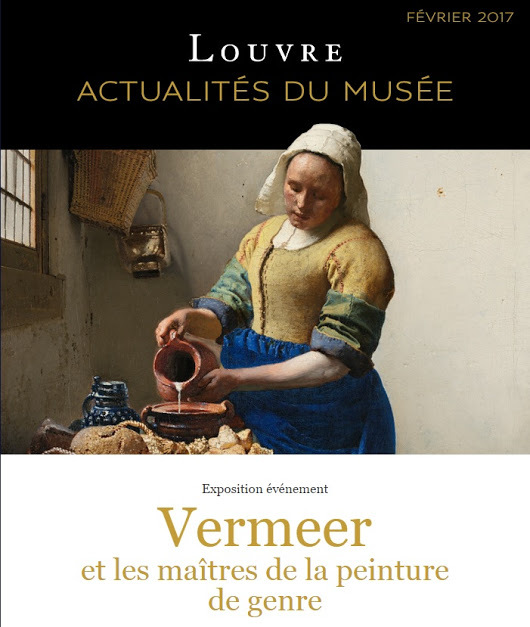 Event in PARIS : VERMEER in LOUVRE MUSEUM ! 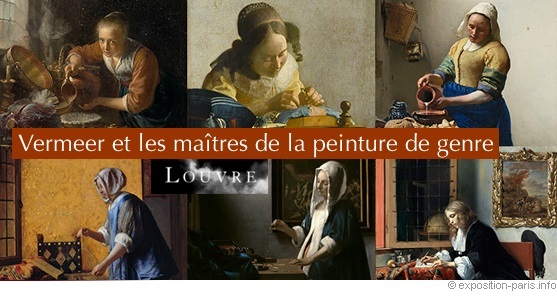 Organized in partnership with the National Gallery of Ireland in Dublin and the National Gallery of Art in Washington, the exhibition will present Vermeer’s great masterpieces and those of his contemporaries… a minute closed to the BVJ LOUVRE HOSTEL, to get a cheap bed + a free early french breakfast, in the 1st and the best located hostels in Paris ! “The Sphinx of Delft”: coined by French journalist and art critic Théophile Thoré-Bürger when he revealed Vermeer to the world late in the 19th century, this famous expression has served mainly to promote an enigmatic image of the painter. The myth of the solitary genius has done the rest. Yet Johannes Vermeer (1632–1675) did not attain his level of creative mastery in isolation from the art of his time. Through comparisons with the works of other artists of the Golden Age—among them Gerrit Dou, Gerard ter Borch, Jan Steen, Pieter de Hooch, Gabriel Metsu, Caspar Netscher, and Frans van Mieris—the exhibition brings to light Vermeer’s membership of a network of painters specializing in the depiction of everyday life while admiring, inspiring, and vying with each other. Although they were painting in different cities of the Republic of the Seven United Netherlands, their pictures show marked similarities of style, subject, composition, and technique. This dynamic rivalry played its part in the remarkable quality of their respective works; in this context we might be tempted to think of Vermeer as just one painter among others, but in point of fact this reciprocal contact tended to render his temperament sharper and more individual. Rather than a stylistic innovator, he emerges as an agent of metamorphosis. Every trip to the capital deserves a visit to the Louvre to discover the wealth of treasures it contains. The museum houses western works of art dating from the Middle Ages to 1848, in addition to collections of ancient oriental, Egyptian, Greek, Etruscan and Roman civilizations, as well as graphic and Islamic arts. From room to room, the former royal palace reveals its masterpieces to the public: the Mona Lisa, The Raft of the Medusa, the Venus de Milo, and The Winged Victory of Samothrace. In total, there are 35,000 works to be discovered or re-discovered! With its eight hundred year old history, the Louvre has been influenced by numerous architectural trends, from the medieval fortress of the 12th century to the glass pyramid by Pei (1989). The latest addition, housing the Islamic arts section, was designed by architects Mario Bellini and Rudy Ricciotti. The undulating glass canopy covers the Visconti courtyard, flooding the 2,800 m² new wing with light. A visit to the museum is particularly pleasant at night: the Louvre is less crowded and visitors can enjoy stunning night-time views of Pei’s glass pyramid, the Cour Carrée and the Seine… a minute closed to the BVJ LOUVRE HOSTEL, to get a cheap bed + a free early french breakfast, in the 1st and the best located hostels in Paris !